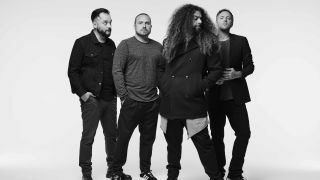 Coheed and Cambria and Mastodon have teamed up for the Unheavenly Skye Tour, a 26-city outing that will see the bands perform in large theaters and outdoor amphitheaters this summer. Additionally, Mastodon will play their 2009 album, Crack the Skye in full on the dates. Support for all shows will come from Every Time I Die. The outing kicks off May 28 in Louisville, Kentucky and wraps July 3 in Irving, Texas. Tickets go on sale to the general public beginning Friday, February 15th at 10am local time at LiveNation.com.